Badakhshan Province (Pashto: / Persian: ????? ??????) is one of the 34 provinces of Afghanistan, located in the farthest northeastern part of the country between Tajikistan and northern Pakistan. It is part of a broader historical Badakhshan region. The province contains 22 to 28 districts, over 1,200 villages, and approximately 904,700 people. Feyzabad serves as the provincial capital. Badakhshan is primarily bordered by Gorno-Badakhshan Autonomous Province and Khatlon Province in Tajikistan to the north and east. In the east of the province a long spur called the Wakhan Corridor extends above northern Pakistans Chitral and Northern Areas to a border with China. The province has a total area of 44,059 square kilometres (17,011 sq mi), most of which is occupied by the Hindu Kush and Pamir mountain ranges. Montane Grasslands and Shrublands are also existent in the province, with the Hindu Kush alpine meadow located in the high mountains in the northern and southwestern regions. South of Fayzabad the terrain becomes dominated by deserts and xeric shrublands. Common vegetation includes thorny bushes, zizyphus, acacia, and Amygdatus. Paropamisus xeric woodlands can be found in the provinces northwestern and central areas. Common vegetation includes almond, pistachio, willows, and sea-buckthorn. The Badakhshan province territory fell to the Maurya Empire, which was led by Chandragupta Maurya. 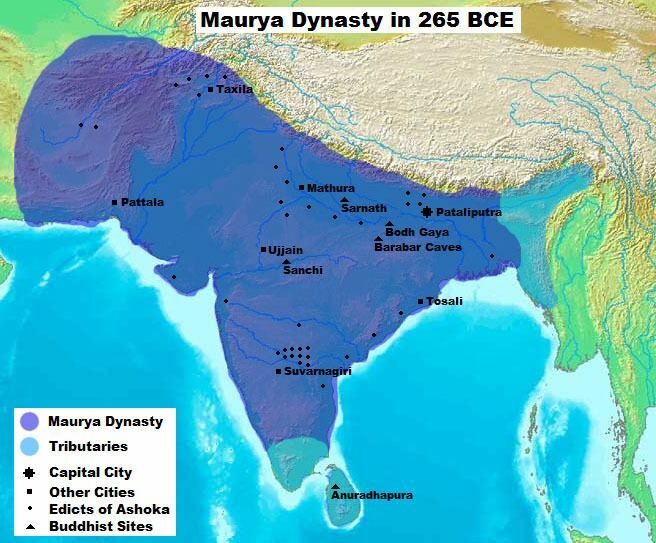 The Mauryas introduced Hinduism and Buddhism to region, and were planning to capture more territory of Central Asia until they faced local Greco-Bactrian forces. Seleucus is said to have reach a peace treaty with Chandragupta by given control of the territory south of the Hindu Kush to the Mauryas upon intermarriage and 500 elephants. Having consolidated power in the northwest, Chandragupta pushed east towards the Nanda Empire. Afghanistans significant ancient tangible and intangible Buddhist heritage is recorded through wide-ranging archeological finds, including religious and artistic remnants. Buddhist doctrines are reported to have reached as far as Balkh even during the life of the Buddha (563 BCE to 483 BCE), as recorded by Husang Tsang. 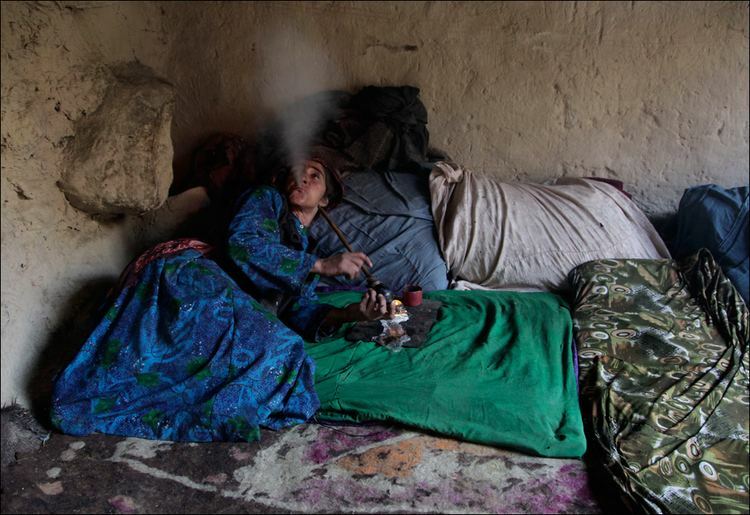 The area has a long history like the rest of Afghanistan, dating to its conquering by the Achaemenid Empire, and beyond. 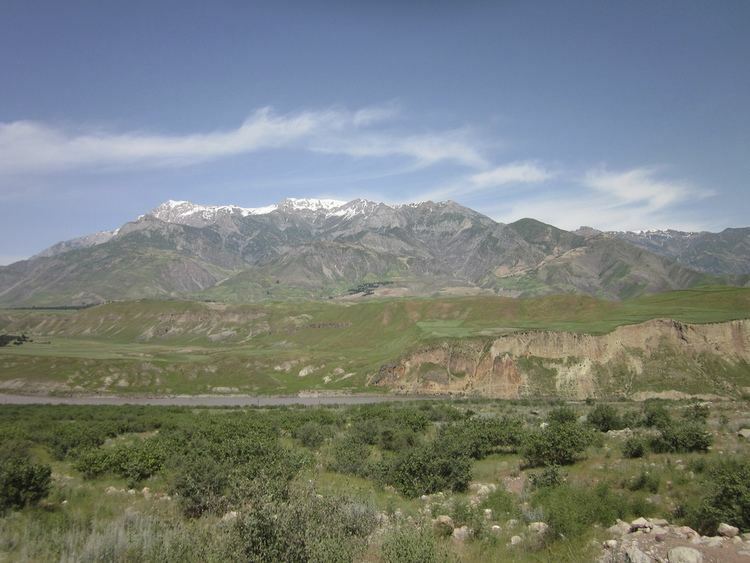 Badakhshan etymologically derives from the Middle Persian word badaxš, an official title. The suffix of the name, -?n, means the region belonged to someone with the title badaxš. The territory was ruled by the Uzbek Khanate of Bukhara between the early 16th century and the mid-18th century. It was given to Ahmad Shah Durrani by Murad Beg of Bukhara after a treaty of friendship was reached in or about 1750, and became part of the Durrani Empire. It was ruled by the Durranis followed by the Barakzai dynasty, and was untouched by the British during the three Anglo-Afghan wars that were fought in the 19th and 20th centuries. It remained peaceful for about one hundred years until the 1980s Soviet war in Afghanistan at which point the Mujahideen began a rebellion against the central Afghan government. During the 1990s, much of the area was controlled by forces loyal to Burhanuddin Rabbani and Ahmad Shah Massoud. Badakhshan was the only province that the Taliban did not get to conquer during their rule from 1996 to 2001. However, during the course of the wars a non-Taliban Islamic emirate was established in Badakhshan by Mawlawi Shariqi, paralleling the Islamic Revolutionary State of Afghanistan in neighboring Nuristan. Burhanuddin Rabbani, a Badakhshan native, and Ahmad Shah Massoud were the last remnants of the anti-Taliban Northern Alliance during the peak of Taliban control in 2001.